If you’re in need of an expert roofing contractor in Metter, GA, Raborns Roofing & Restorations is the name to remember. Our team is happy to render complete roofing services to the many roofing systems in the area. Our background allows us the ability to handle any roofing problem you may be dealing with. We tend to commercial and residential roofs alike. So when you find yourself with a concern or need effective roofing repairs in Metter, GA, don’t hesitate in giving our office a call by dialing (706) 814-3207. If you can’t seem to find the service or repair that you’re looking for featured on the lineup above, please give us a call at (706) 814-3207. Our roofing experts are here to respond to any roofing questions that you may have. Raborns Roofing & Restorations goes above and beyond making sure that you’re always receiving premium grade roof repairs and replacements in Metter, GA. Additionally, we want to guarantee that you remain worry free from start to finish. whole process and guarantee to leave the space as tidy as we initially found it.|Once we’ve finished the full inspection, we discuss our observations with you, and get to work as soon as your schedule allows us to. We think each of our patrons should enjoy access to better best roofing services available. 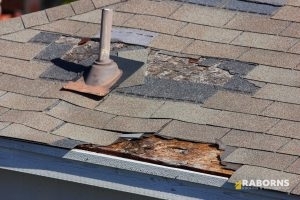 We offer roofing repairs and other services to commercial and residential sites. Your absolute satisfaction is what our team wants to ensure. Ultimately, if you aren’t totally happy, we aren’t done. Raborns Roofing & Restorations is the one and only name you need to know when you’re searching for a roofing company in Metter, GA. Dial (706) 814-3207 to call us ASAP!